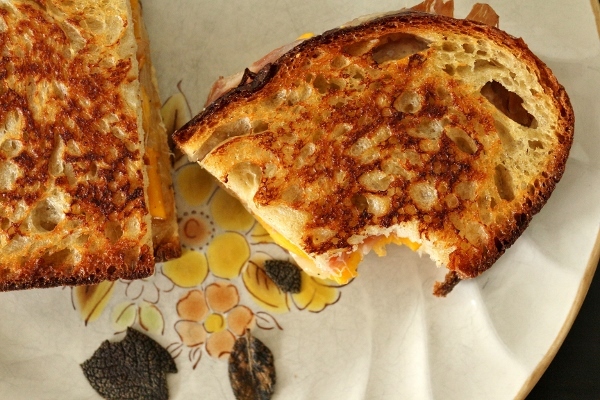 As much as I enjoy a nice classic grilled cheese with good ol' American cheese smothered between slices of white bread, it really pales in comparison to a more gourmet version of the sandwich using fancier cheese, better bread, and generally more sophisticated ingredients. 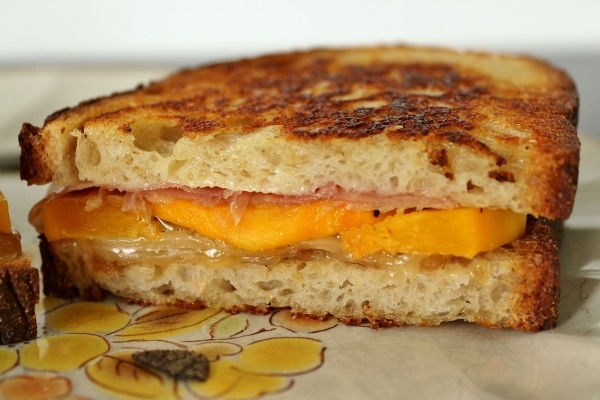 For a seasonal variation, this grilled cheese stuffed with roasted butternut squash, caramelized onions, and paper-thin slices of prosciutto is the way to go. 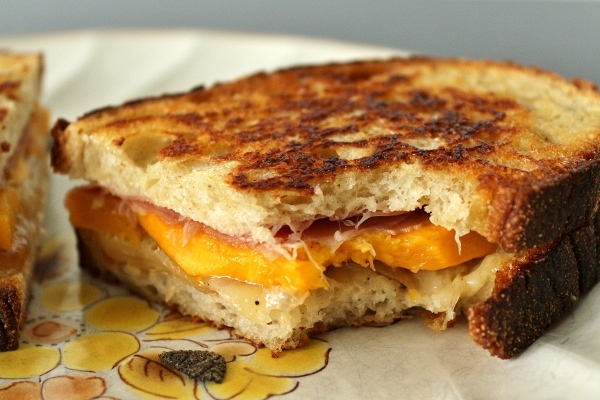 Two kinds of cheese join to create a perfect marriage of gooey delight. The original recipe calls for Fontina Val d'Aosta and Idiazábal, but I substituted a nutty good-quality aged Gruyère for the latter. My roasted butternut squash was not particularly sweet, and yet it balanced so beautifully with the slightly salty prosciutto. 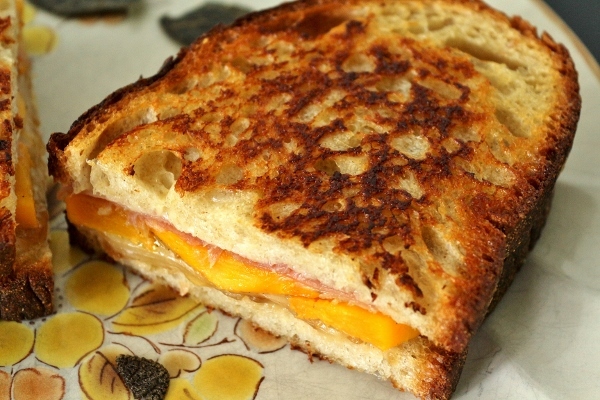 I used sourdough from my local Whole Foods, where I also purchased the prosciutto and the cheeses. It crisped up beautifully in my skillet, although the "sage star" that the recipe directs you to make on one side of the sandwich didn't really work for me. The sage leaves just fell off while cooking, but still made a fun little garnish for my plate. Preheat the oven to 375°F. Line a baking sheet with parchment paper or aluminum foil and coat well with nonstick cooking spray. Cut the squash into slices about 1/4 in thick. Pile the squash on the prepared baking sheet, drizzle with the olive oil, and sprinkle with a pinch each of salt and pepper. Toss to coat well and spread the squash slices to lie flat in a single layer on the baking sheet. Roast for 15 to 20 minutes, or until easily pierced with a fork and just beginning to brown. (If the squash begins to brown before softening, sprinkle with water and cover with foil.) Transfer to a wire rack and let cool on the pan. Set aside four of the cooked squash slices and store the rest for another use. While the squash is roasting, warm the vegetable oil in a small skillet over low heat. Add the onion and a pinch of salt and stir to combine. Cover and cook, stirring every couple of minutes, until the onion is translucent and soft, about 8 minutes. Uncover, raise the heat to medium, and cook, stirring often to prevent scorching, until the onion is the color of light brown sugar, about 5 minutes longer. Remove from the heat and set aside. Spread the butter on one side of each bread slice, dividing it evenly. Place two slices, buttered-side up, on a clean cutting board. Carefully lay four of the sage leaves on each piece in a star pattern and, using your fingers, smear a little butter over the sage stars to hold them in place during cooking. 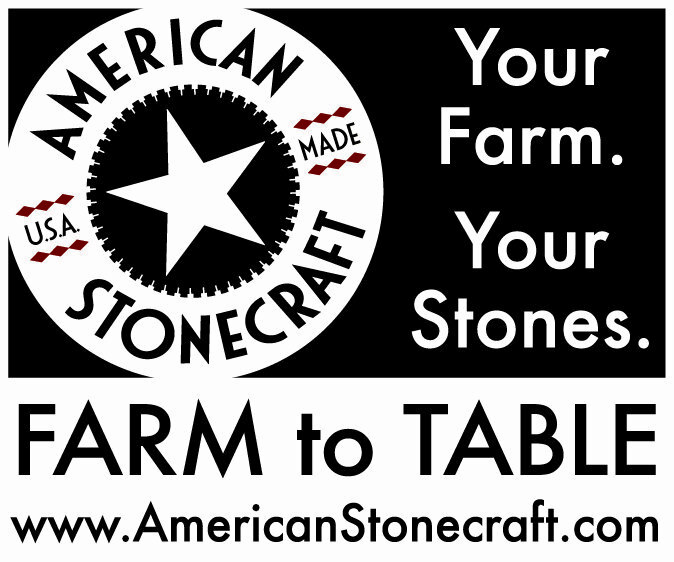 Set aside on a corner of the cutting board. Place the remaining bread, buttered-side down, on the cutting board. Layer half of the caramelized onions, one slice of the fontina, half of the reserved cooked squash, half of the prosciutto, and half of the Idiazábal on top of each. Finish with the decorated breads, sage stars facing up (my sage leaves fell off while cooking so I just sprinkled them on the plate for decoration). Using a wide spatula, place both sandwiches in the pan with the sage stars facing down, cover, and cook until the bottoms are nicely browned, about 4 minutes. Turn and cook until the second sides are browned and the cheese is melted, about 4 minutes longer. 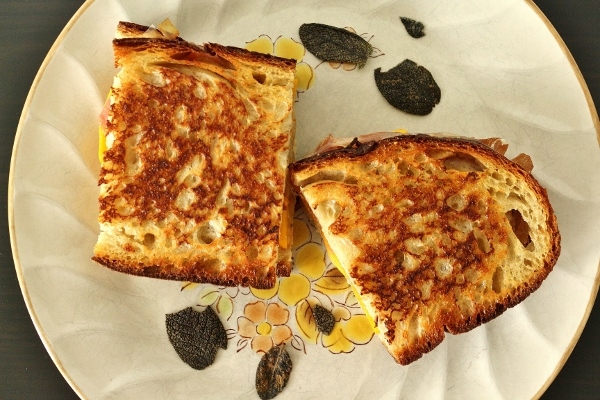 Cut the sandwiches in half, if desired, and serve immediately, with the sage stars facing up.